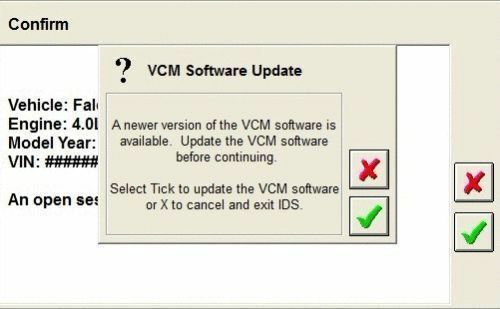 FORD VCM II ONE YEAR SOFTWARE LICENSING. We have been serving shops for over 10 years providing OEM diagnostic tools such as the Ford VCM II, GM MDI, Chrysler Witech, DRB 3, Starscan, Tech 2, HONDA MVCI, Nissan Consult III, Toyota Techstream, MicroPod II, MAZDA IDS Package, Nexiq Heavy Truck, many other OEM tool packages and cables, software cards etc at dealer level pricing.We also provide the Ford Software, Tech Authority Licensing, and many other software packages. Please give us a call today 800-294-1605, nobody will beat our pricing!